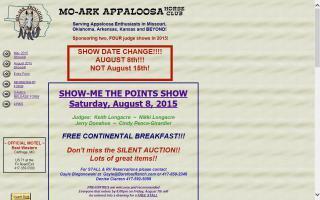 Arkansas Horse Directory - O Horse! Find farm and ranch real estate agents in Arkansas. Each listing includes contact information and a website link. 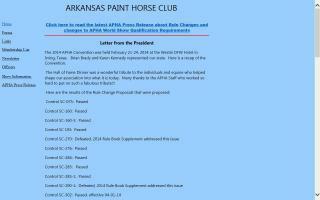 Welcome to the official web site of the Arkansas Paint Horse Club, promoting breeding and showing of Paint horses in Arkansas and neighboring states. ApHC shows held at Lucky J Arena east of Carthage, MO. 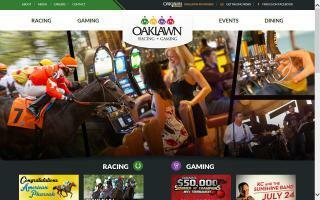 Oaklawn Park, home of the Racing Festival of the South, is located in Hot Springs, Arkansas, and features some of the finest in live Thoroughbred horse racing. Area V includes Arkansas, Louisiana (Western Half), Oklahoma and Texas. We are a training facility that also offers lessons, boarding, and much more. We also stand 2 paint horse stallions. We also offer good quality horses and mules for sale. 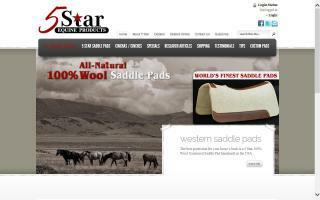 5 Star Equine Products makes some of the world's finest 100% wool saddle pads and 100% Mohair Cinchas for your horse or mule. 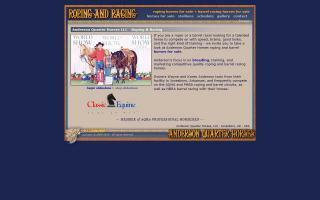 Roping horses and barrel racing horses for sale. 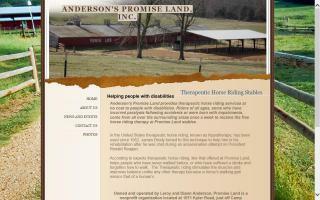 Anderson's Promise Land, Inc. is a non-profit organization that provides therapeutic horse riding for people with disabilities at no cost. Riders must provide a doctor's referral and, for safety purposes, weigh less than 180 pounds. Promise Land is open the first of April and has two riding session on Mondays and Thursdays.